Co-authored by Julie Lugo Cerra and myself, Marc Wanamaker, Movie Studios of Culver City was a project discussed many years ago and has now been realized. We believed that a small handbook on the studios of Culver City was overdue and with the help of City Historian Julie Lugo Cerra, an overview of the history of the studios in Culver City was put together. From Thomas Ince’s first historic movie studio to Metro-Goldwyn-Mayer and the forgotten early studios, Movie Studios of Culver City is a small treasure for those interested in Culver City’s “Reel” history. As the movie studios grew so did the economy and the film industry in Culver City flourished throughout the Depression, War years and into the modern era. By the 1930s, most of the city’s movie credits showed “Made in Hollywood.” The Culver City business community reacted to this by having the credit, “Culver City, where Hollywood Movies are made” instituted on films made in Culver City! Over the years, Thomas Ince’s first studio in Culver City increased in size as backlots were added. That first studio operated under Ince/Triangle then, over the years, became Goldwyn, Metro-Goldwyn-Mayer, MGM/UA, Lorimar, Columbia and now Sony Pictures Studios. Lot 2, across the street from the main studio on Overland Avenue was one of the five backlots of MGM Studios. Ince’s studio a quarter mile east on Washington Boulevard had its backlot called the “40 Acres” alongside La Ballona Creek. This backlot became famous due to the classic films made there such as DeMille’s King of Kings and Selznick’s Gone With The Wind. The forgotten studios in the Culver City vicinity included, The Pacific, Master, Willat, Lehrman, and Romayne studios. These early studios flourished in the late teens of the early twentieth century and into the1920s during the silent era. The Pacific studio, however, was taken over by “sound” film producers in the 1930s and was still in production well into the 1940s. 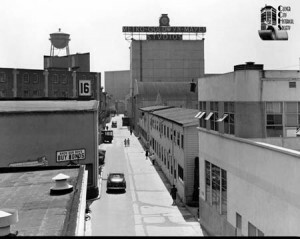 Today, all of the studio backlots in Culver City are gone but can be found and remembered in Movie Studios of Culver City, a true Culver City historical treasure. Local History Becoming Popular with All Ages!